Toddler Injured After Stroller Hit By Car In Crosswalk in West Palm Beach | Schuler, Halvorson, Weisser, Zoeller & Overbeck P.A. A toddler in a stroller was struck by a car at the intersection of Le Chalet Blvd. and Military Trail, according to the Palm Beach County Sheriff’s Office. The impact of the accident sent the 18-months-old boy flying out of the stroller, causing him to suffer head injuries. 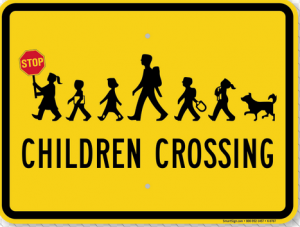 The accident occurred as the boy’s grandmother tried to cross the intersection at the pedestrian crosswalk while pushing her grandson in the stroller. A car traveling on Le Chalet Blvd struck the baby stroller. First emergency responders arrived shortly after the crash happened. According to a PBSO spokesperson, the toddler was taken to a local hospital and will be kept overnight for observation, but is expected to recover. It was reported that the driver remained at the scene of the accident until authorities arrived. Deputies are still investigating the incident. It is unknown if speed, drugs, or alcohol are a factor in the crash, police said. It is best to find an alternate route around this crash scene. The best alternate routes to take would be to use I-95 or the Florida Turnpike. West Palm Beach personal injury attorney Jason Weisser of Schuler, Halvorson, Weisser, Zoeller and Overbeck responded to this accident. “It especially sad to hear that a child so young was hit by a car. It appears that his injuries are very severe. We hope that he recovers quickly and that there are no long-term health issues. Please be careful and obey the speed limits and traffic lights whenever you are driving a motorcycle, car, SUV or truck. This is especially true when there are children in the area. We hope that all parties involved consult with an experienced trial lawyer. If you have been injured in an accident, call my office for a free consultation to find out what are your rights”.